What makes Chinese music Chinese? After a century of revolution and change, how do contemporary Chinese composers understand and reflect their heritage, even as they try to connect with global audiences? These are questions that get to the heart of a musical culture that remains largely veiled to American listeners. The Juilliard School’s annual Focus! festival of new composition is trying to pull aside that veil, to make the world of music a bit smaller. With “China Today,” a series of six free concerts from Jan. 19 to 26, the school is avoiding traditional Chinese instruments and foreign-based composers, choosing instead to concentrate on Chinese artists living and working in their own country, and using the same instrumental forces as those in the United States and Europe. If in the 1930s, Chinese musicians had to define themselves against the West, and in the ’60s against the state, they may now have to reckon with the hectic, globalized economy. The biographies of the Focus! composers — full of international crisscrossings, responsibilities and diverse inspirations — makes clear that their music often serves as both a grounding and a reflection of the chaos of modern life. The contemporary China of bullet trains and glass-and-steel airports — the China which will play a determinant role in the course of the 21st century — is the one on display here. This is a China in which Juilliard is deeply engaged. Seeking to develop a new revenue stream, the school has broken ground on a degree-granting satellite in Tianjin, in the country’s northeast, that is scheduled to open next year. The Binhai New Area where the school is located, is one of China’s largest development zones. 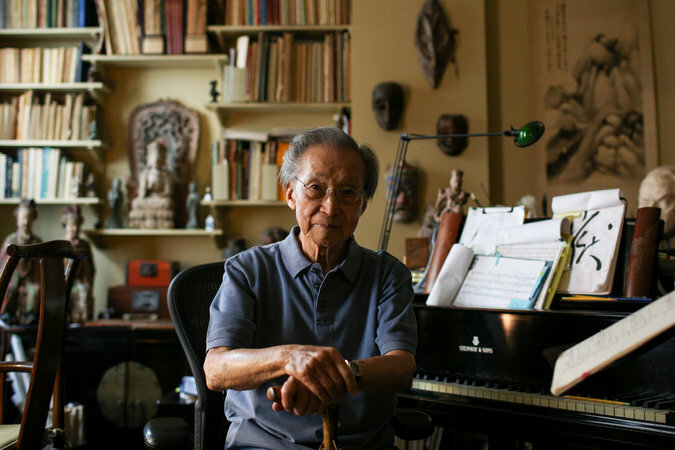 Including 33 composers, Mr. Sachs has put together something like a history of Chinese “classical” music in our time, from the 94-year-old master Chou Wen-Chung, who has spent a lifetime building bridges between Chinese composers and Western audiences, to Shuci Wang, born in 1990. What elements in the music on offer mark it as definably “Chinese”? Laudably, Juilliard ruled out the easy options of Chinoiseries — gongs and zithers and the like — and scooping up ethnic Chinese composers based in the United States, although some of the most famous ones have lived here for many years. That Focus! will skip pieces using Chinese instruments was not so much an aesthetic choice as a logistical and philosophical one: It would have required hiring players, a difficult move budgetarily and educationally, since the point of the festival is to give Juilliard students the opportunity to play new music. Yet if the instruments are Western, there are still glimmers of what could be called distinctively Chinese qualities about the music on these programs. Some make references to traditional Chinese melodies, some to Chinese aesthetics or ideas — pentatonic scales, for example — and some to the kind of evocations of nature (mountains, flowers) that are widespread in Chinese culture. One young composer, among the seven commissioned to write a new piece for Focus!, had imbibed the contemporary European trend of getting unusual sounds from instruments, but had used those techniques to subtly evoke — not imitate — the sound of traditional Chinese instruments. Contemporary Chinese composition takes place in the shadow of Mao Zedong’s Cultural Revolution of the 1960s and ’70s, under which instrumental music, theoretical physics, mathematics and other abstract pattern languages seemed “safer” than more explicitly thematic artistic forms. But precisely because classical music is a space of privacy and fantasy, Mao found it unacceptable. Underlying the era’s brutal house-to-house searches for pianos and busts of Beethoven was the fear that music preserves a spirit that is incompatible with the collective. In those bad old days, He Luting, director of the Shanghai Conservatory, was denounced for his passion for Debussy. As Lu Hongen, then the conductor of the Shanghai Symphony, was led off by the police in shackles, he asked his colleagues to lay flowers on the tomb of Beethoven. Music in China was a matter of life and death. But the festival also features works by composers who were educated in a very different China, before Mao. One died a few years ago; another in August in his 90s; and another is still alive at that age. 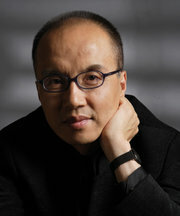 Sang Tong, whose 1947 piece for violin and piano (China’s first 12-tone work) is a highlight of the festival, was an underground Communist guerrilla who studied with a former student of Schoenberg who had reached safety during World War II in Shanghai; after the revolution, insisting that classical music shouldn’t be politicized, he suffered greatly. 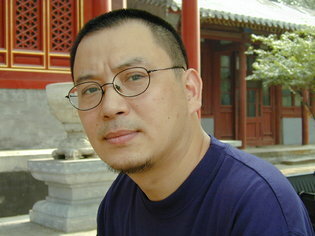 The composer Ye Xiaogang was sent down to work in a factory during the revolution. 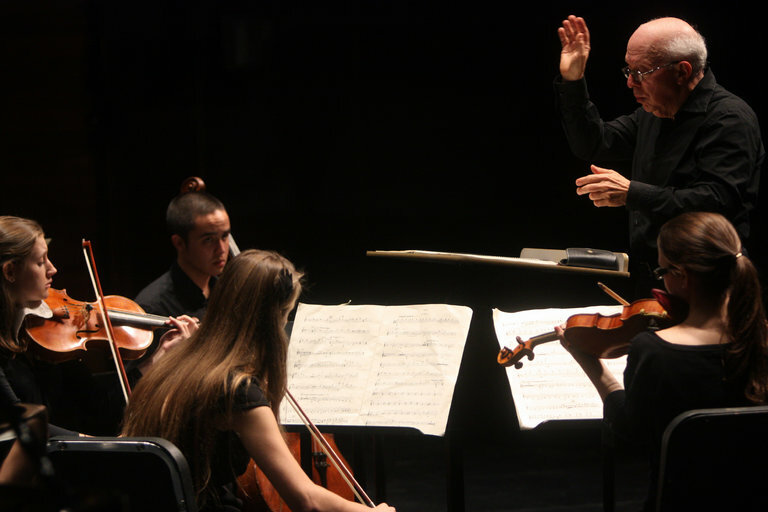 The festival goes from the darkness of that era all the way to a new piece by Liu Sola, a Central Conservatory classmate of famous composers like Tan Dun, Chen Yi and Zhou Long. China’s first female rock ‘n’ roll star after the Cultural Revolution, Ms. Liu is best known for “Blues in the East,” an almost-avant-garde jazz-Chinese opera fusion that scored a Top-10 hit in Britain. Posted in Music	Bookmark the permalink.